VANCOUVER, BC – Steamworks Brewpub has announced the release of a new limited edition beer to mark the upcoming visit of Prince William and Kate Middleton to British Columbia and the Yukon. 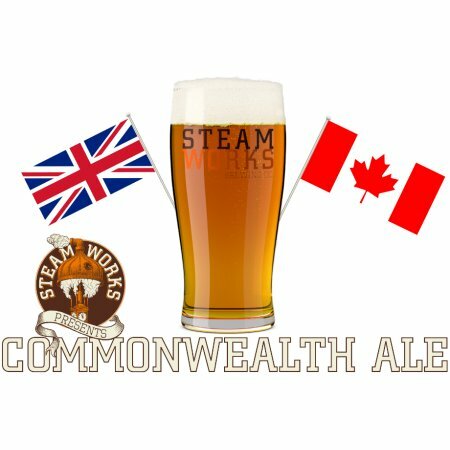 Steamworks Commonwealth Ale was brewed in the style of a classic Rye Pale Ale and uses ingredients from a variety of monarch honouring Commonwealth members. This small batch beer uses select British Malts, lively tropical hops from Australia and New Zealand and of course was brewed in Vancouver, BC with local water and the power of steam. The result is a brew fit for the Queen herself; a distinct and balanced ale with classic old-world malt flavour finished with a juicy west coast hop bite. Commonwealth Ale is on tap now at the Steamworks Brewpub in Vancouver’s Gastown district. Prince William and Kate will be touring throughout B.C. and the Yukon on September 24th to 30th.